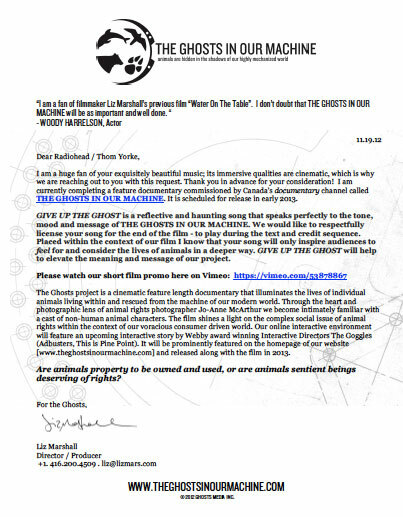 We are excited to announce that for the next 6-months we have permission, gratis, by Warner/Chappell Music and Radiohead to publicly stream the film credits from The Ghosts In Our Machine documentary. 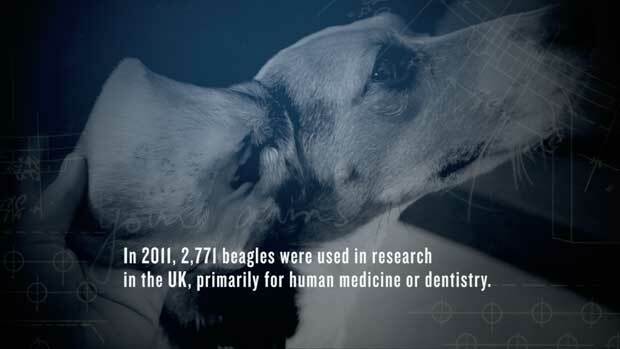 The song “Give Up The Ghost” by Radiohead characterizes the film’s credits – which interlace the names and titles of those who made the film, and those who are featured in the film (nonhuman and human animals), with several staggering statistics about the animal industries revealed in the film. You might be wondering: How did you get permission to use such an iconic song by one of the biggest and coolest bands on earth?  The short answer – with the help of my friend, Music Supervisor Amy Fritz, who also helped secure music rights for my last film Water On The Table. It also helped that Thom Yorke of Radiohead is sympathetic to animal issues, loves film, and is vegan. Also, our awesome contact at Warner/Chappell Music, Laura Masseria, loves the film and has been a true advocate. Below is an excerpt from the letter (pitch) I wrote to Radiohead back in 2012. My fellow producer Nina Beveridge and I designed the little package and sent it off. Within a few weeks Radiohead gave “two thumbs up, artist approval”. What an exuberant moment to learn that one of my biggest dreams for the film had come true. My partner Lorena Elke turned me on to the song, and I knew we had to have it for the film. #DreamComeTrue. 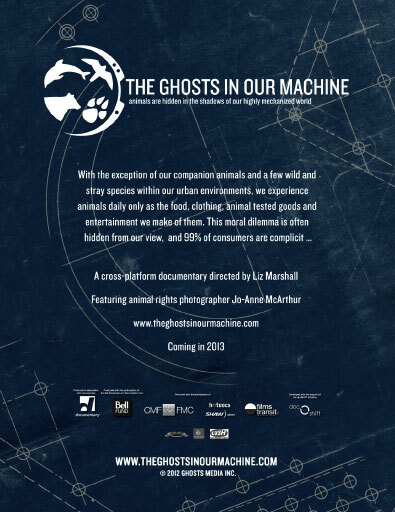 GIVE UP THE GHOST is a reflective and haunting song that speaks perfectly to the tone, mood and message of THE GHOSTS IN OUR MACHINE documentary.  We would like to respectfully license your song for the end of the film – to play during the credit sequence. 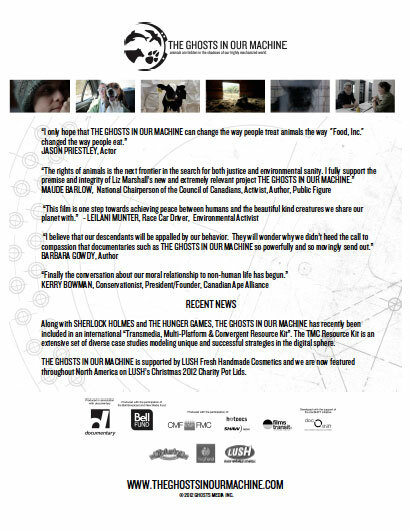 Placed within the context of our film I know that your song will inspire audiences … GIVE UP THE GHOST will help to elevate the meaning of The Ghosts In Our Machine …. Audiences everywhere comment on the emotional impact and effectiveness of the song in the film. Thanks Thom, Radiohead, Warner/Chappell Music, and of course Amy Fritz. Very hauntingly beautiful and so meaningful to hear while reading the credits again.